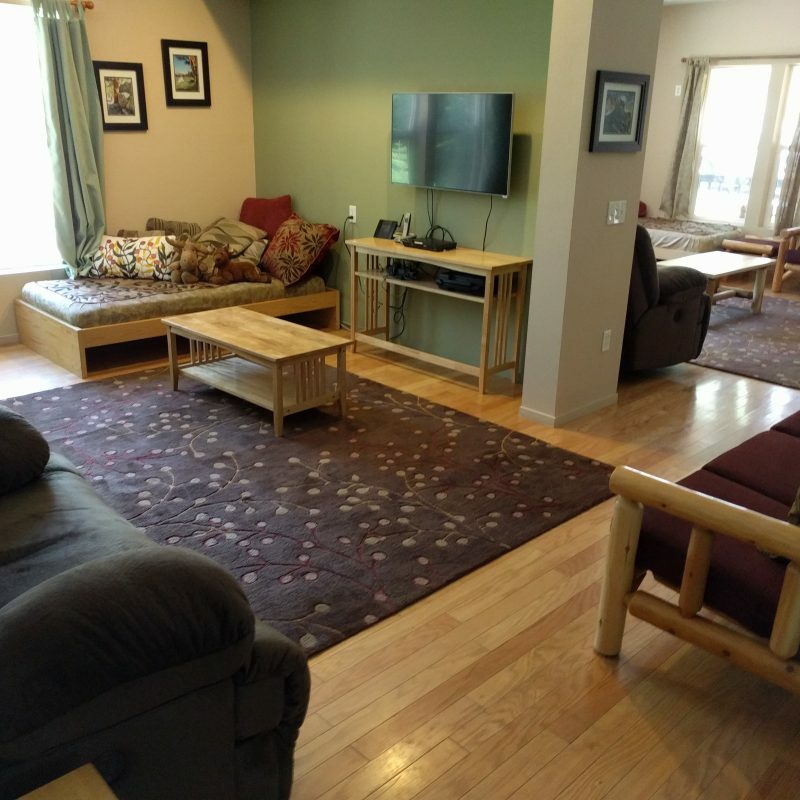 The living room is bright and airy, while the den is more cozy. There is a large screen TV in the den. Lots of room to sit around and talk in large or small groups, or take a quiet nap while everyone else is off at the lake. Who should sleep where? 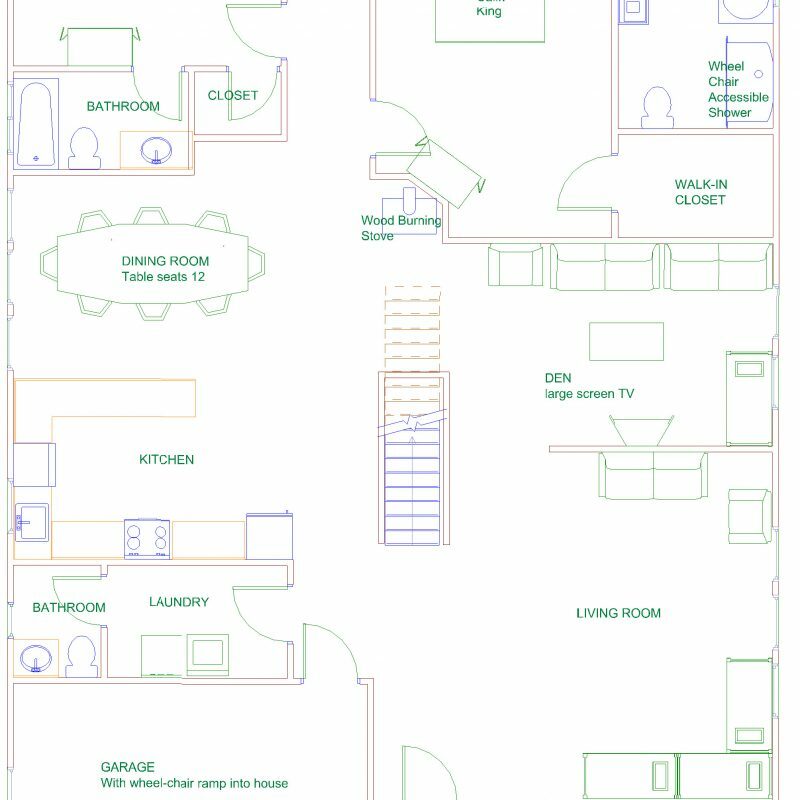 Take a look at the floorplans to make sure you have this figured out for your stay! The kitchen has all the things you need to cook for your group, except the food. We provide pans, mixing bowls, silverware and dishes that you need. We try to stock most common spices, but bring whatever ingredients you need (including oil, sugar, favorite spices, condiments, etc.) as we don’t stock any non-spice food items. Don’t forget your coffee! The Queen’s Room (AKA the “Workshop.”) This room has two Queen beds and two Queen futon beds (and the chair can be a futon twin in a pinch!) 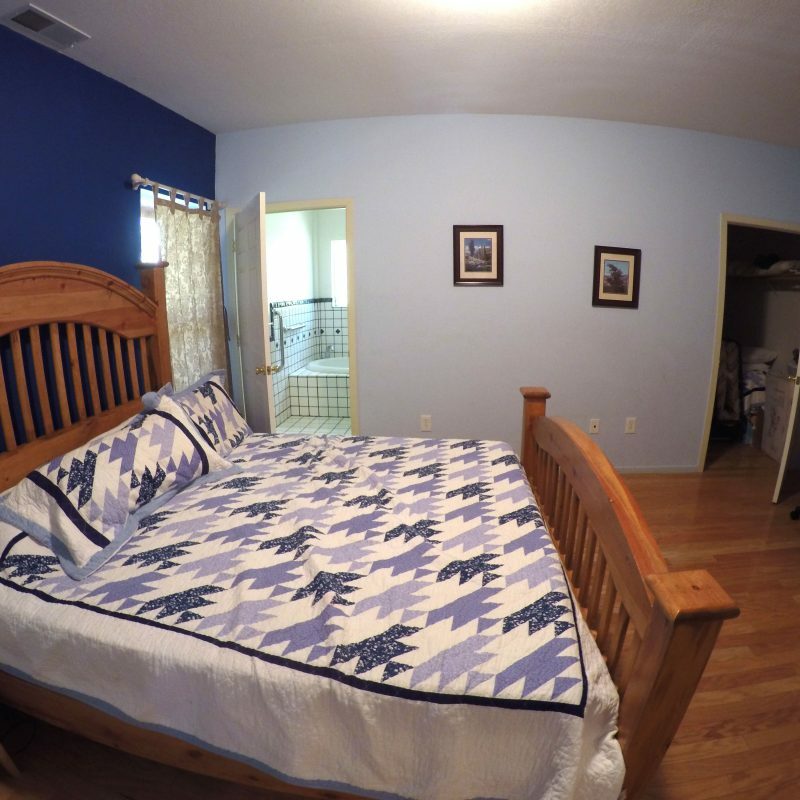 The Queen beds fold up to the wall and out come folding tables and chairs to turn this into a workroom! 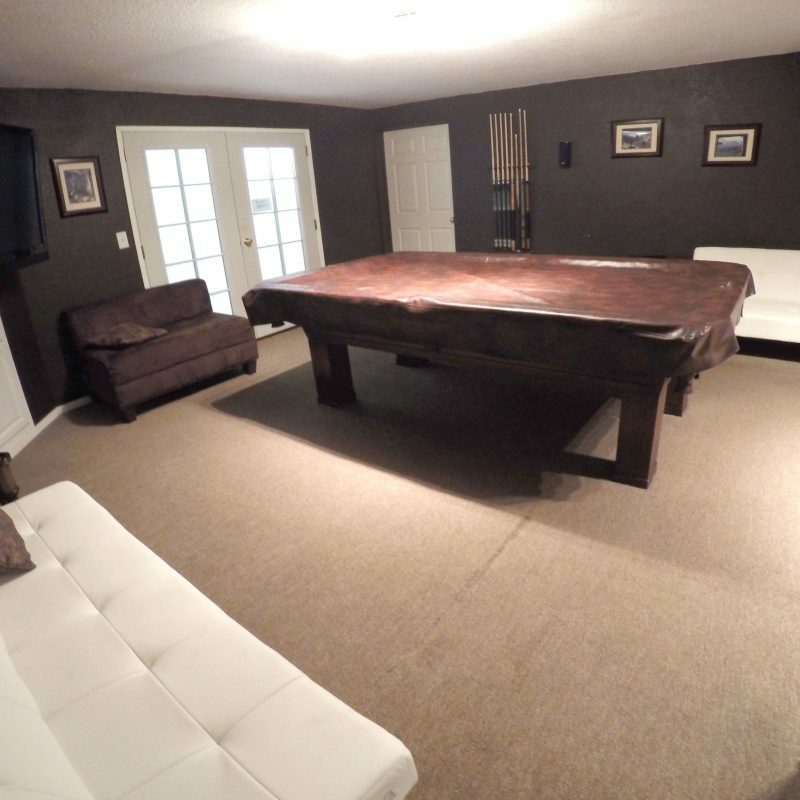 Put all the cousins in this room! 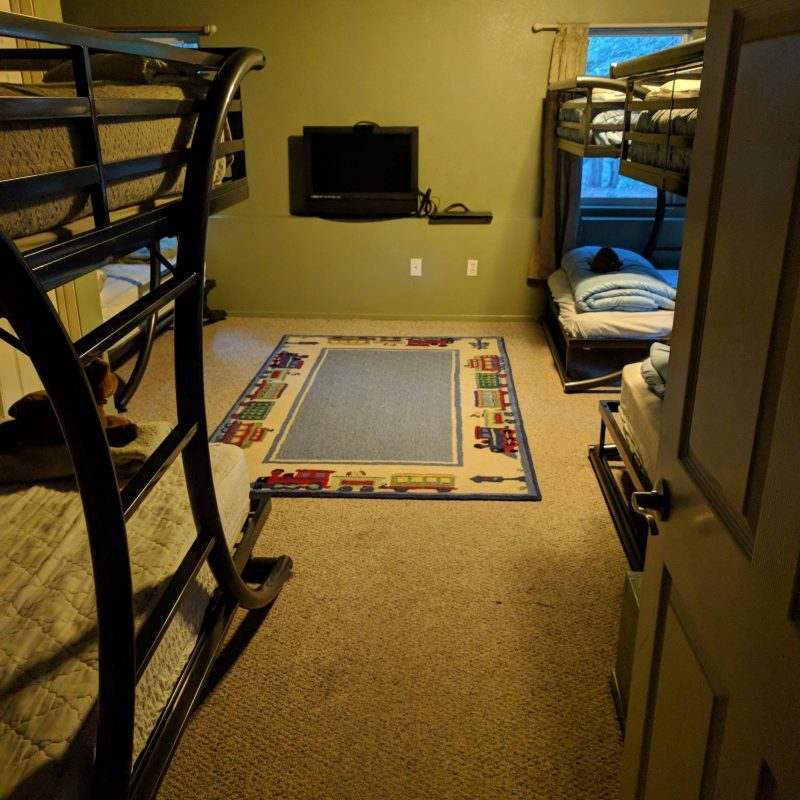 With room to easily sleep 14 kids (if you dare!) the little ones will enjoy their stay! Or, put the boys in this room, the girls in the Queen’s room. In any case, they are bound to have fun! A large, lovely bedroom on the “main” floor of the house. 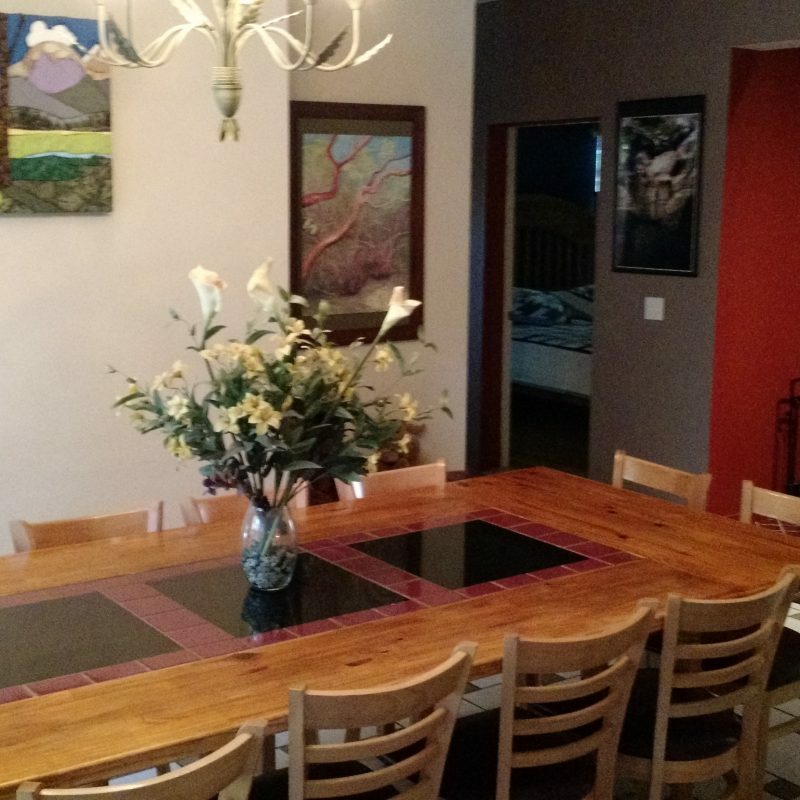 With 3 windows, it overlooks the back of the forested property and the deck. 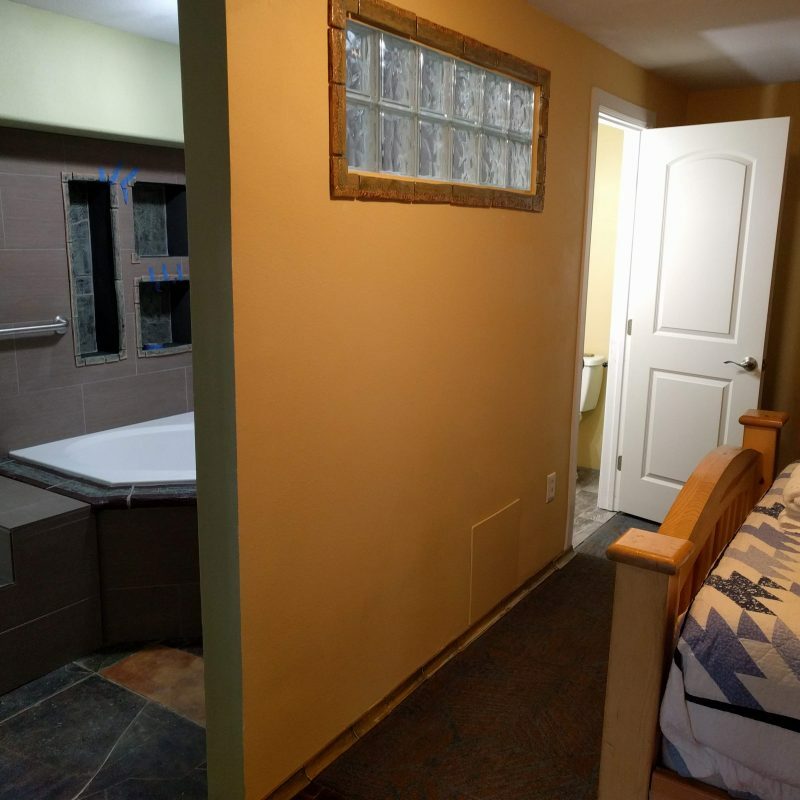 It features it’s own bathroom and a California King bed. There is a TV with DVD player, desk and closet. Room to put one or more twin inflatable bed, if needed. 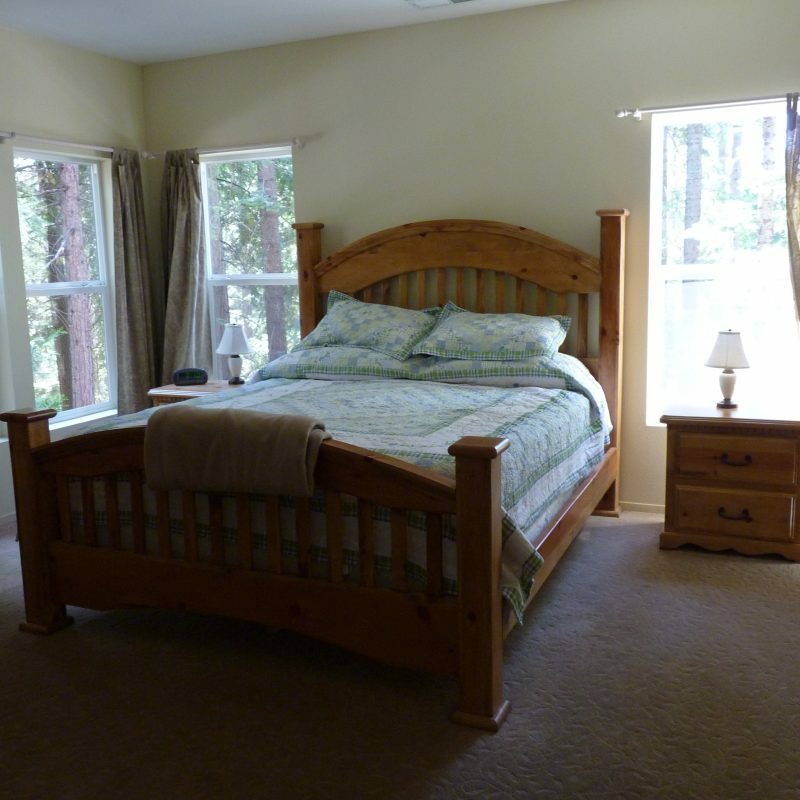 Handicap accessible bedroom and bathroom with California King bed, roll-in shower and Jacuzzi bath. 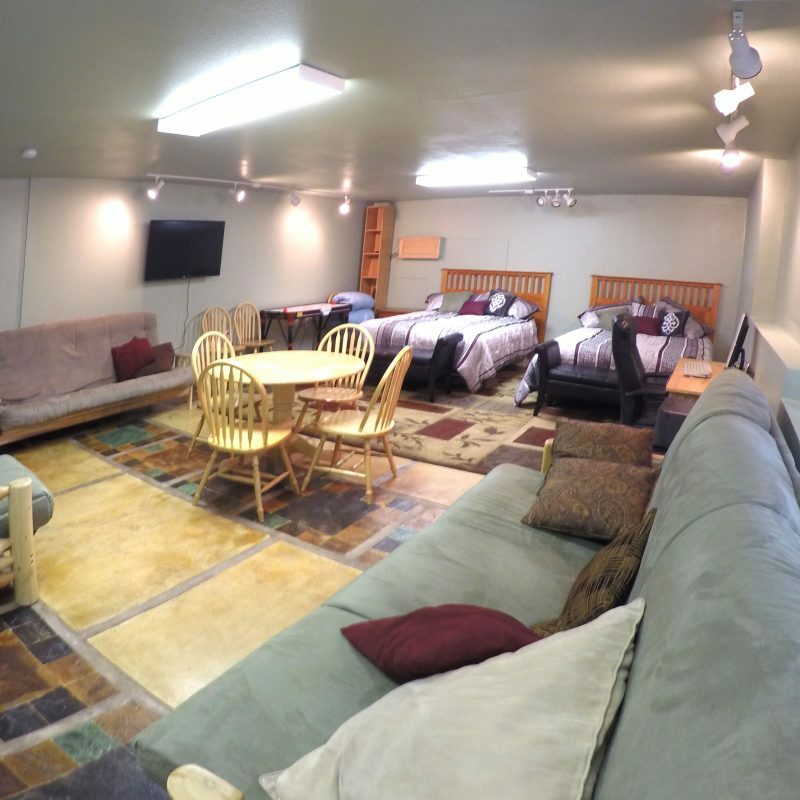 456 square feet Man Cave provides a great hang out for evenings and noisy teens!